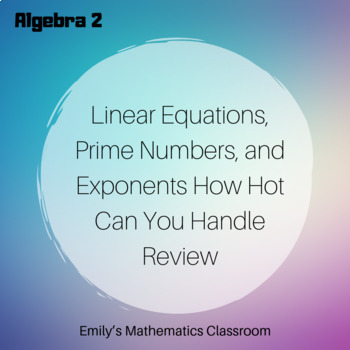 This unit covers linear equations, linear equation word problems, prime numbers/factorization, and exponents (including negative and fractional). 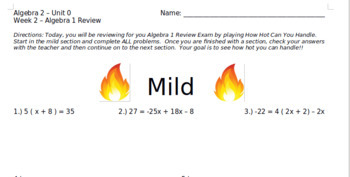 This bundle includes a 2 page "How Hot Can You Handle" review sheet where students start at the "Mild" section and move towards the "Spicy" section, and a unit test. 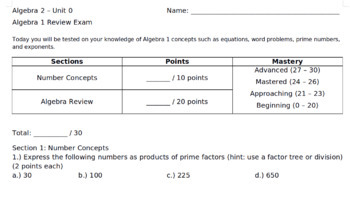 Answers are included for both.